"Doctor and staff were very friendly. I'd recommend all my family and friends to go there"
"Eastpointe Dentist is great! Amazing staff and fast service. Would recommend to anyone!" "[...] Dr.solway was great. Didn't even feel the shot. Best dental visit I've ever had." Call the office to book your appointment! Eastpointe Family Dental Center in Eastpointe, Michigan is a full-service, technologically sophisticated dental office that happily welcomes women, men, and children from ages 5 to 105 who live in the greater Detroit metropolitan area. The associates at Eastpointe specialize in permanent dental implants, oral surgery to remove impacted wisdom teeth, and root canals. At Eastpointe — your premier local dentist — you can get regular cleanings and X-rays as part of preventive care from the friendly staff of dentists and hygienists. 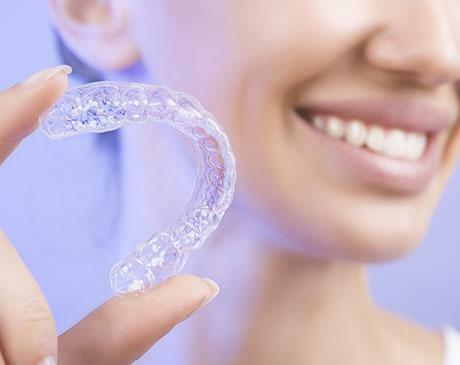 You can have your gum disease treated and get your braces or Invisalign® at the same, friendly facility. If you're worried about the safety of metal dental work, Eastpointe Family Dental Center offers metal-free fillings, crowns, and bridges. The expert associates at Eastpointe understand that feeling great about your smile sometimes requires more than optimal oral health. In addition to dentistry and orthodontics, Eastpointe Family Dental Center offers a wide array of cosmetic dental services to brighten your smile. 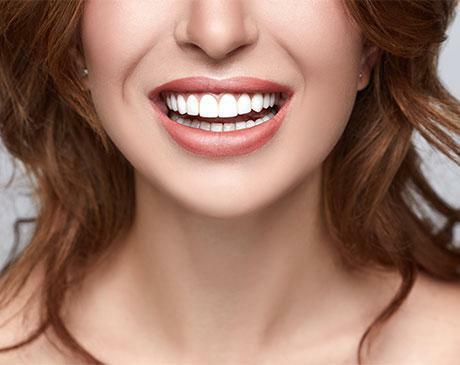 From teeth straightening to teeth whitening, porcelain veneers, and bonding, the expert team of highly skilled and extensively trained dentists give you the smile of your dreams. The Eastpointe dentists also know that sometimes going to the dentist can be frightening. Not only does each Eastpointe Family Dental Center associate make a point of taking the time to help you feel calm and confident, but they also make sure you get the kind of treatment that matches your needs, desires, and circumstances. You can come to Eastpointe Family Dental Center any time you have a dental emergency. If your tooth or dental work breaks, you suffer a blow or injury to the mouth, or if you have tooth or gum pain, the staff tries to accommodate you with an immediate appointment. Contact Eastpointe Family Dental Center to set up a consultation today. You can also use the convenient online booking form to schedule your next appointment. Welcome to Eastpointe Family Dental Center! When you visit our office, your comfort is our prime concern. Dr. Solway and Staff are dedicated to providing you and your family with the personalized, gentle care that you deserve. Since graduating from the University of Michigan’s School of Dentistry in 1991, Dr. Solway has trained with some of the world’s most prominent dental specialists. Dr. Solway’s father was a dentist on the east side of Detroit for 39 years and his son is now rapidly becoming known as one of the Detroit metropolitan areas leading dentists. He is a member of the Academy of General Dentistry and the Michigan Academy of General Dentistry. He is also an active member of Eastpointe Chamber of Commerce. You can rest assured that while Dr. Solway continues to pursue excellence in dentistry, he also places great emphasis on being an honest, gentle and caring person who treats his patients, not just their teeth. Outside of the office he is a devoted husband and likes to spend time with his family. Click here to learn about the payment options we offer. "Dr. Solway is a great Dentist. He pulled my bad tooth out and was very reasonable with the price"
"Dr. Solway definitely makes sure you're well aware about the procedures, healing process, and how to maintain a brighter smile." "I love this place. Dr. Solway is amazing [...] and office hours are beyond accommodating. Sometimes they are open 7 days a week with long office hours." "I truly appreciated the fact that Dr. Solway took the time out of his day to make sure that I was accommodated accordingly, and for that I will be a returning patient."